Margaret Noonan holds a BSc in analytical and pharmaceutical Chemistry, a BSc (hons) in Herbal Science and has undertaken an apprenticeship in Herbal medicine. Her unique approach has allowed her to synthesise the best of herbal knowledge with modern pharmaceutical practices to produce a natural and effective range of medicinal natural pain relief creams for muscle & joint pain, bruising & inflammation, sports training, injuries and arthritic ailments that are optimised to work effectively, without the addition of chemical additives. In the past Margaret has worked in pharmaceutical labs, hospitals and clinical practices and also spent 6 years as senior herbal pharmacist in Lismore Clinic . In October 2013 she set up her own practice in the Bridge Clinic in Fermoy, Co. Cork. A sought after public speaker, columnist and demonstrator, Margaret is a leading expert on nutritional, herbal and lifestyle medicine. At a crossroads in my life I decided to take a break from everything and walk the Camino de Santiago, a 780km pilgrimage across Spain. Equipped with 2 pairs of pants, 2 t-shirts, socks, toiletries and a jar of cream I made to support my muscles and joints on this exciting but strenuous adventure, I started the hike. 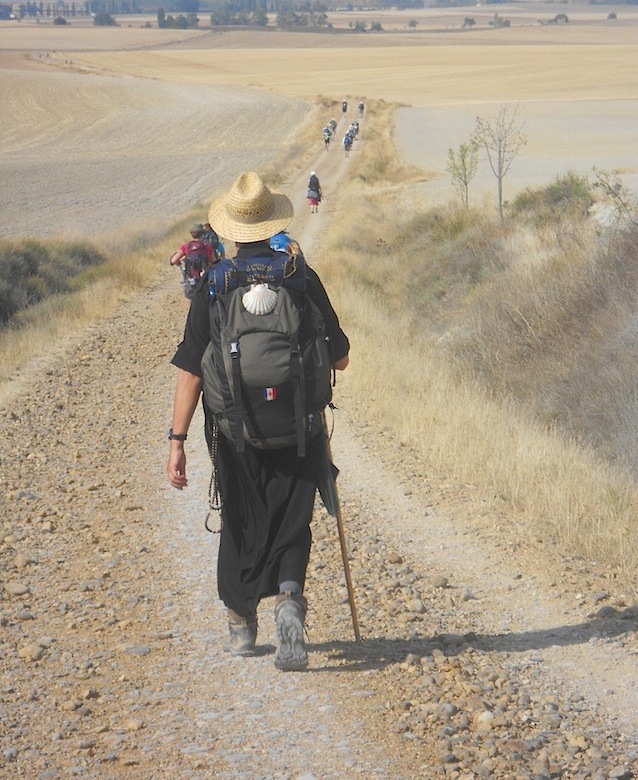 Walking the Camino isn’t easy and is especially hard on the feet. I hadn’t given a lot of thought to how much discomfort many people experience, but along the way I met people whose feet were blistered and sore and who were experiencing muscle cramps and fatigue. My technique was to rub vaseline on my feet every morning before putting on my socks and walking boots as well as to apply my own muscle and joint cream morning and evening. Days turned into weeks and without any pain or discomfort I reached Santiago 33 days later. My Liveeka moment came when I realised that my jar of cream helped me every step of the way. I felt that it was an idea worth sharing and so the idea of creating the natural medicines company Liveeka was born….